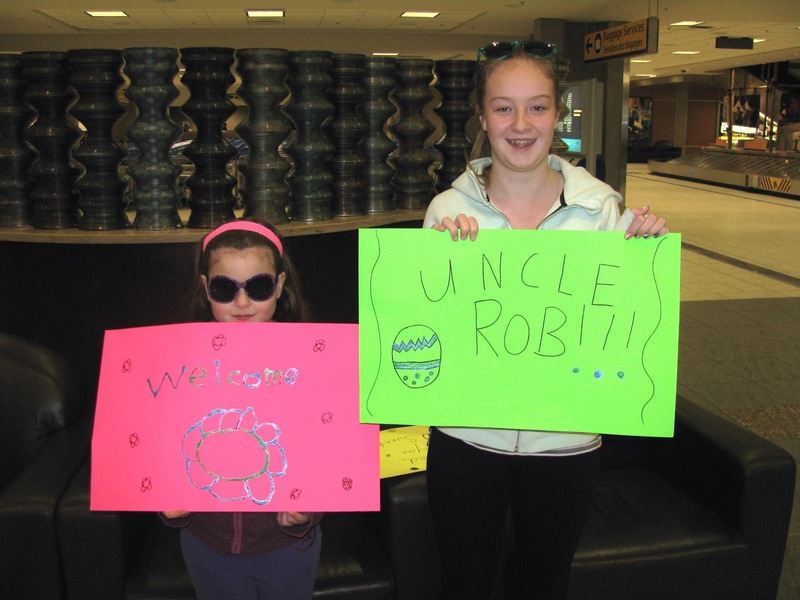 The girls with their signs at the Calgary Airport. This Easter was a special one, as it happened to fall close to a birthday and it was also the first time Rob met my older brother, Jeff and his family. 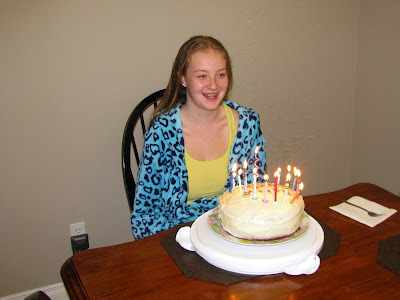 My niece, Ashlee, turned 13 on the Wednesday before Good Friday, so I flew out early that morning so I could spend the day with her. She gladly stayed home from school and after my brother picked me up at the airport, Ashlee, her Mom, Sandy and I did some shopping and had lunch together. The birthday supper was homemade pizza at her request and it was a fun, family affair at the house with cake and presents. Ashlee with her "Red Velvet" birthday cake. Thursday was "Tayler Day", as it was my 7 year old nieces turn to stay home from school. After a relaxing morning of lounging in our PJ's, we also went shopping and had lunch out together. Tayler in her new top, a gift from her Auntie Angela and Uncle Rob. Rob flew in the morning of Good Friday and we were all there to meet him at the airport. After returning back to the house we started preparing for the Easter Bunny, which included colouring eggs. 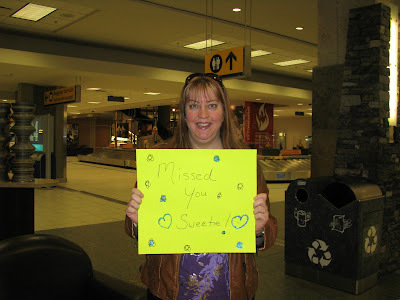 I made a sign too! 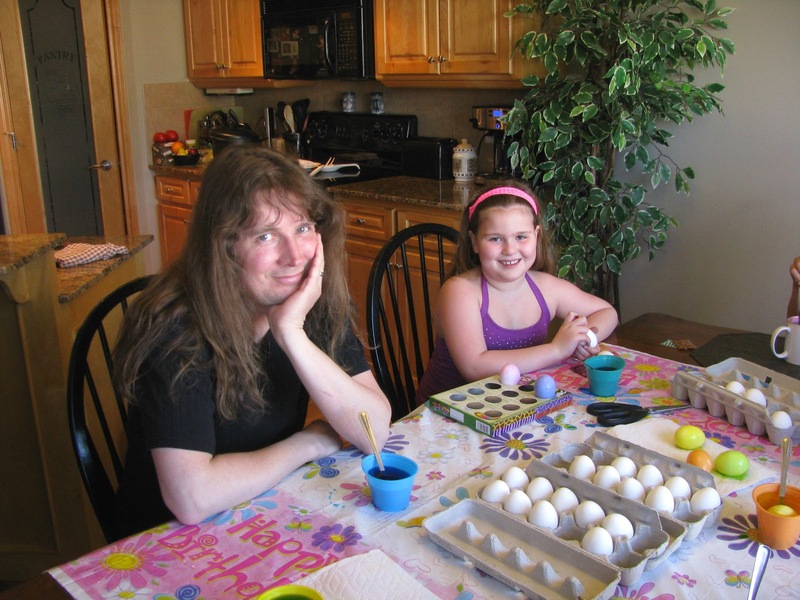 Rob and Tayler colouring eggs. Saturday morning we all headed into Calgary to the Inglewood Bird Sanctuary, where I was really hoping my nieces would be able to experience something special for the first time, hand-feeding Chickadees! 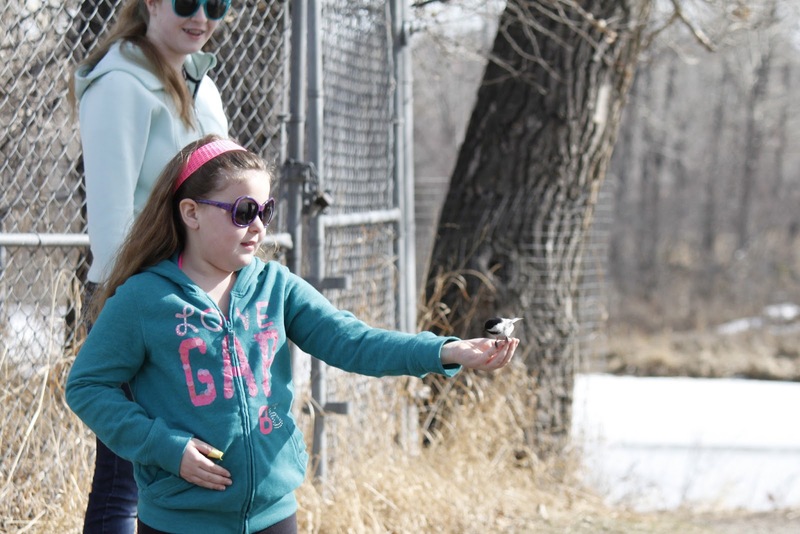 And the whole family got to experience the special joy of hand-feeding these cute little birds. The gang taking a break. Easter was a fun filled day spent at the house with egg hunting, Wii bowling, movies and lots of great food. The Easter Bunny found us all! 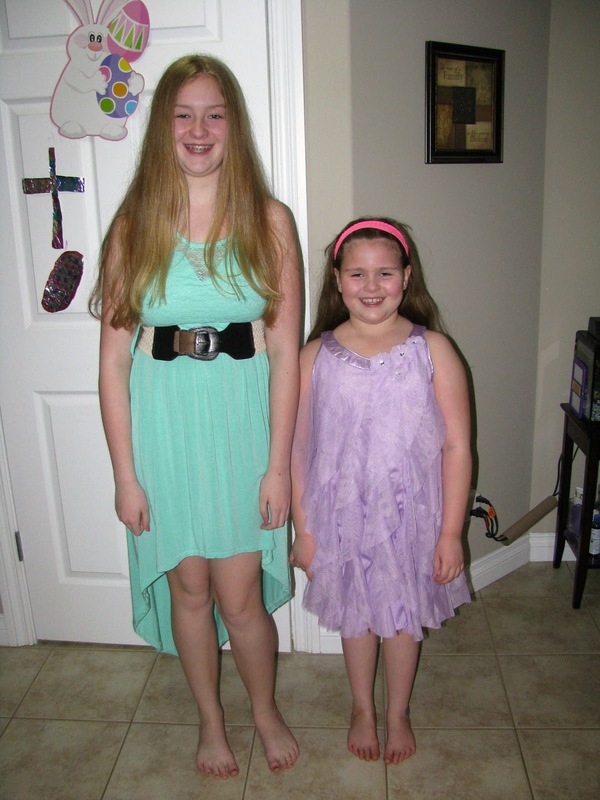 The girls in their Easter dresses from Auntie Angela. Rob flew back to Toronto early Monday morning, while I had one more day of visiting before heading to Las Vegas for a couple days. It was another great Easter! 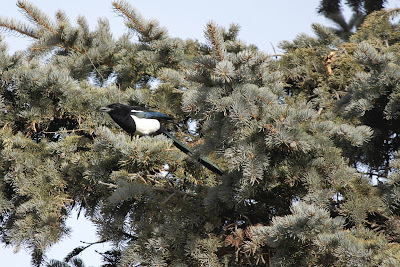 PS: Rob was thrilled to finally see a Magpie! The beautiful Magpie, a lifer for Rob. whawoooooooo magpie...now that's see Rob wearing some of those Easter bunny ears!